A dirty office can do your business a really bad favour. To avoid that and to be able to always impress your clients rely on our top-notch office cleaning in Uxbridge. This service will not cost you a lot, especially given the fact that it will help you improve your image. 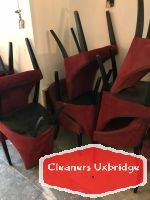 We, at Cleaning Uxbridge, have the readiness to clean offices of any type and size. Call us and we will give you a personalised quote. Our professional office cleaning service in Uxbridge can be booked as a one-off service or on a regular basis. Whichever option you choose to go with, we will give you the opportunity to schedule your cleaning appointments by your choosing. Our trained office cleaning technicians can be relied upon seven days of the week. As a matter of fact, we don’t mind working on bank holidays and after regular business hours. This is something that our commercial customers really enjoy because it gives them the chance to book us for a comprehensive business cleaning in Uxbridge when there are no employees in the office. In that way, the work of both their and our teams can be done in a stress-free and undisturbed way. If you are about to have an important conference or a visit from key business partners, you can give us a buzz and hire us for a thorough office cleaning on the same day. If your business deals with important documentation or with sensitive information, you may be hesitant to let a group of strangers close to these files and that is understandable. However, with us, you will not have to worry about having your documents and office equipment damaged, stolen or misplaced. We employ incredibly organised cleaning professionals and we have made sure that they are all trustworthy and reliable. For that purpose, we have not only trained and tested them but we have also screened them before giving the job. Our incredibly attentive cleaning staff has an excellent array of cleaning skills and they know how to use commercial cleaning machines and how to work in accordance with the industry’s quality and safety rules. That is why our customers are so happy with our effective office cleaning service in Uxbridge. Another thing that puts a smile on our clients’ faces is the fact that we provide them with fairly-priced commercial cleaning in Uxbridge. Our regular office cleaning prices vary between £8-10 per hour per cleaner and our one-off business cleaning service costs barely £13 per hour per cleaner. We have a transparent pricing policy and we like to surprise our customers with some truly amazing offers. 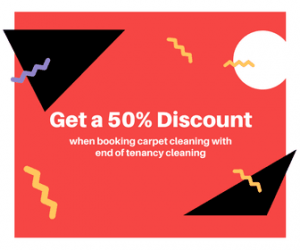 One of our top deals will let you enjoy a complimentary hour of cleaning if you book us for a one-off cleaning job that has a value of over £100. So, with us from Cleaning Uxbridge, you get both a premium service quality and a budget-conscious price. If you want to rely on our safe office cleaning service in Uxbridge, you should not do anything special to prepare your office for the arrival of our competent cleaning team. The only thing which we would advise you is to take care of any unnecessary clutter if any. We may be exceptionally good at cleaning but we are not an office clearance firm. We also encourage our clients to provide our staff with special instructions and feedback. That will help them offer you a more effective office cleaning service.